I think that events, like birthdays, make us itch for an adventure. For my birthday this past week, my wife and I decided to spend a couple of days in Rome, Italy and experience this historic city. Neither of us had ever been there before and, from what we’ve heard, Rome is beautiful this time of year. Spring is arriving! For me, Rome was an amazing place to watch people and admire ancient architecture. However, enjoying the sites kept bringing a single thought to my mind. Some of these ancient buildings took centuries to build and have lasted hundreds or even thousands of years. They are appreciated for their quality and history, so why do we now rush everything we build? It doesn’t matter if it’s a car, new buildings, products, websites and apps, or even the food we eat. We want them done and shipped YESTERDAY. Today we’re blessed with faster technology and better processes for building things quickly. But have we thought it out? Do we ask ourselves if that speed has become more important than what we are building? We think the Internet is inherently a certain way, but it isn’t. It is constantly changing, and we are the ones who are changing it. We can change it for the better, rather than having to change ourselves to adapt to the parts that are toxic for us. Her quote perfectly sums up our constant thirst for newer, faster, and shinier things. Just because we’re able to build things fast, doesn’t necessarily mean we should. We are so caught up with the quest of gathering what is new, we don’t stop to appreciate the things that are already around us. As an example, most of us have realized that fast food is really not all that great. The market is now reacting to that popular opinion and, as Newton said almost 400 years ago, there has been an “equal and opposite reaction”. Say hello to SLOW FOOD. Something that is prepared with love and allowed to take it’s time simply tastes better. If we were talking about apps instead of food, would an app that was lovingly – and carefully – prepared be better than one created quickly? Yes. Let me take a second and be very clear about something. I am a firm believer in the agile working method. I don’t believe in allowing things to take more time than they need. That simply doesn’t make them better. I have experience from several projects where the results suffered from not have a certain amount of time pressure. What I do believe is that we are NOT creating things that last. If that’s something you are OK with, then by all means – sign up for that class that teaches you to produce your first iPhone app in less than 24 hours. The results will be disappointing. Let me ask you this. 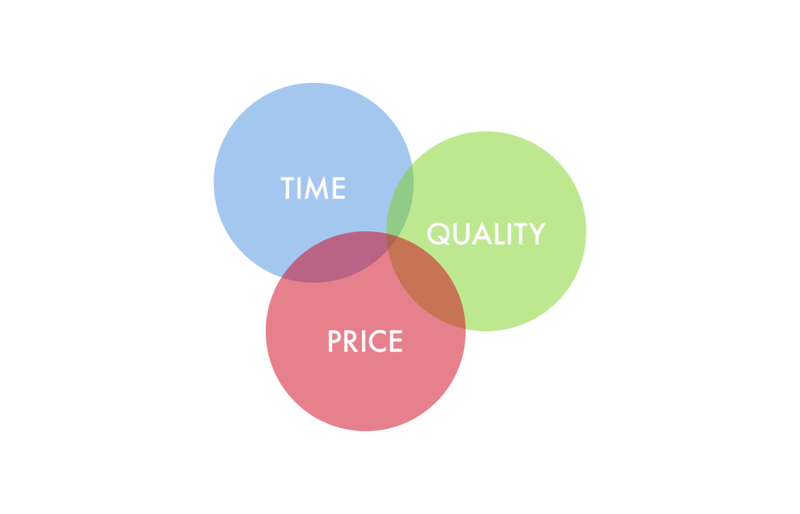 If you were to remove ‘time’ (fast) EVERY time you produced something for a client – Would your client ALWAYS get an affordable, high-quality long-lasting product? You bet. Unfortunately, that’s not always the option. From my experience, when that deadline is approaching, there’s always the same thing that gets cut. The details. I’ve found that it’s far better to create a smaller app with less functionality that works great, runs smoothly, and has a couple nice details than to create the entire suite of features that has no soul. It’s just fast food. While I was looking at the details on the ceiling of the Trinita Dei Monti church, the thought about quality crossed my mind again. It may not be the biggest church, but it’s beautiful details make it stand out. There was a pride in making things not just beautiful, but divine. I would love for us to start making the same sort of commitment to details in our digital products as they did in the old days. Let’s bring the soul back. Let’s make it slow food.